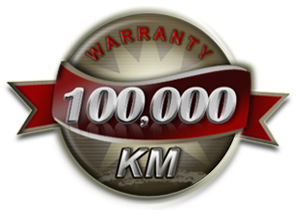 SIMOTA replacement air filters and air intake systems purchased from Authorized Dealers are backed by a 100,000 KM Limited Warranty when used primarily on paved roads and on vehicles for which they were designed. If one of these products ever fails to provide complete satisfaction, SIMOTA will replace it. 4.Any illegal highway usage, marine, or industrial applications. All SIMOTA air filters not covered by our 100,000 KM Limited Warranty are warranted against defective materials or workmanship for one year from date of purchase with no mileage limitation. This includes SIMOTA air filters sold for ATV's and off-highway or dual-purpose motorcycles. SIMOTA air filters should be cleaned every 5,000 KM for normal on-road usage, more often in dusty conditions. Cleaning should be done with SIMOTA cleaner and air filter oil (or comparable air filters cleaner and oil). Use of water, steam, or chemicals not specifically designed to clean non-woven material air filters (i.e. gasoline, transmission fluid, motor oil, lightweight oil, or diesel fuel) will void the warranty. Any damaged, abused or modified SIMOTA air filters will not be warranted. Any defective SIMOTA air filter properly returned to SIMOTA will be replaced. SIMOTA reserves the right to determine whether the terms of the warranty, set out above, have been properly complied with. In the event that the terms are not complied with, SIMOTA shall be under no obligation to honor this warranty. SIMOTA will not be responsible for any indirect, consequential, special, contingent, or other damages.